Everybody who has ever required towing services, will always want to remain safe, and that those around him (if he is not driving alone), and his vehicle to remain safe, by receiving a towing solution of the highest quality. There are several companies in Orange, CA, and in Orange County in general which offer towing and other road assistance services and solutions. However, not all of them are the same. Some may guarantee positive, promising results, but when you contact them to seek service, they fail to provide you the full worth of your money. Calling Towing Ravens will minimize any potential disappointment and agony, thanks to our 24/7 availability and expert personnel (technicians and customer service representatives), as well as our prompt arrival (within approximately 30 minutes from receiving your call), you will certainly get proper help when a vehicle crisis arises, entailing towing. Towing is perhaps the most meticulous process, of all processes involved in handling the various roadside crises. For that reason, when a towing service is required, one is most likely to prefer a secure way of towing the vehicle, particularly flatbed towing. This applies most in cases where the vehicle is low, when a motorcycle is concerned, or when the axel is broken. We at Towing Ravens Company hold state-of-the-art equipment, the best in the market at present, thus are capable to provide you with the best solution at a time of need. Of course, we at Towing Ravens are not limited to one type of towing service. We believe in making ourselves available to a wide range of customers. Towing Ravens: The County’s Leading Towing Service! 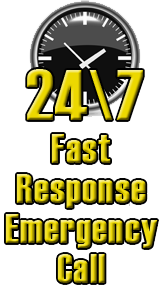 Our business in Towing Ravens is open 24/7, based upon the understanding that vehicle crises which require towing services may happen all the time, entailing an open line of service, and top service. Our state-of-the-art equipment certainly enhances our service. Plus, we have the best professional technicians, trained and highly skilled to handle any crisis that arises, as well as to best operate the equipment, which involves meticulous and delicate work. Most importantly, our pricing policy is affordable and honest, with no hidden charges, in order to ensure all our customers can avail our services any time, and in line with the values of any civilized society. We also offer full roadside assistance such as car door opening solution, out of gas & flat tire change.